Local rankings have been an important consideration – at least for local businesses and SEO companies – for several years now. When you want to rank a website for a particular city or region, you need a whole different set of rules than when you’re trying to rank nationally or globally. As it does with just about all its services, Google has periodically changed its algorithms for local rankings. In fact, it’s even changed the name of its local listings. You could previously manage your local listing under Google Places for Business or Google+ Pages Dashboard. Anyone who signed up under one of these services has been automatically moved over to Google My Business. But what exactly do you have to do to rank your business, or your client’s business, for local listings? Google itself has recently published a page, Improve Your Local Ranking on Google, that will hopefully make this clearer. Google first points out that there are several distinct ways that people search for local businesses. First of all, searches are done using either a mobile device or a desktop computer. Beyond this, they are either typing in search information such as the name of the business and address or they are searching on Google Maps. Google Maps can be accessed by both mobile devices and desktops. It’s good to know about this because when you want to rank a business, you want people who are using all of these methods to be able to locate it. Before we consider the new information released by Google, let’s review the basic information that must be provided for ranking locally. Many local businesses leave out certain crucial data that makes it much harder for potential customers to find them. The following is a checklist of what should be included. Business Information – This includes the business name, physical address, phone number, email address and website URL if any. When entering an address, be sure to enter the complete address, including number, city, state and zip code. In its address entry guidelines, Google suggests leaving out extra information such as cross streets or landmarks. This type of information makes it harder for Google Maps to pinpoint the location. Category – This is also extremely important, as it’s often the first thing people will type in if they’re looking for “Italian restaurants,” “plumbers,” “florists” or whatever type of business it might be. You should use the category that’s both accurate and one that people are likely to search for. You can consult the page Guidelines for representing your business on Google for specific advice on this. Photos – Photos are another way to identify your business and make it more appealing to people who click on your listing. Google will not accept photos until your business has been verified, which will be discussed below. You can add a variety of photos, such as a profile photo, a cover photo, a logo and additional photos. It’s essential to claim and verify a business if you want to rank locally on Google. In order to do this, you must create a Google+ page if one doesn’t yet exist. You will then be presented with several choices for verifying the business. these are instant verification, verify by phone and verify by postcard. For businesses with multiple locations, there’s bulk verification. We’ve covered some of the basic things that businesses must do when submitting data to Google. Now let’s focus on the specifics mentioned on Google’s new support page. While there is nothing unexpected or revolutionary here, Google does emphasize three main factors that are especially important for local ranking -Relevance, Distance and Prominence. Relevance – Google has always placed a high value on relevance in all its search listings, local or otherwise. For local businesses, it’s important that the description is a close match for what the business actually does and what people are searching for. 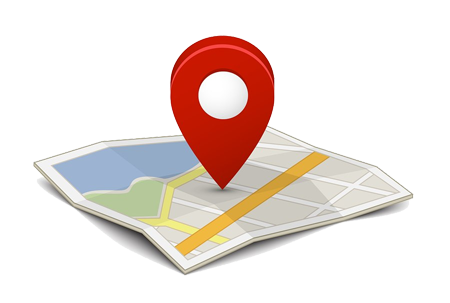 Distance – This is important to keep in mind when describing the location of a business. How close is it actually to this location? Some businesses put in the name of the nearest well-known city even though the business may be 50 miles away. This kind of practice will make it harder to rank, as Google does pay attention to accuracy regarding location. Prominence – Prominence is the trickiest of the three, as it refers to how well known and well regarded the business is. Assuming it’s not already famous, Google considers material across the web, such as reviews, articles and directories where the business may be listed. This is also related to the topic of social signals, which indicate that many people are talking about a business. When reading Google’s new help page, you should not miss what is said after the section on Prominence…that basic SEO practices are also important for ranking locally. In other words, factors such as linking, on-page SEO and everything else that must be done to rank any website must also be considered when doing local SEO. While Google has not really revealed anything brand new on its new support page, it does clarify some points. This is, for one thing, one of the clearest statements Google has made on the importance of customer reviews and ratings. Thus, businesses have good reason to be concerned with sites such as Yelp and Angie’s List and about reputation management in general. What Google is really trying to convey with this information is that ranking a local business is based on a variety of factors, with relevance, distance and prominence being especially important. Google also reminds readers that it never reveals the details of its algorithms, so there’s never going to be a simple, infallible formula for ranking a website. Nevertheless, businesses that follow the recommendations on Google’s new support page will have a definite advantage when it comes to local rankings.